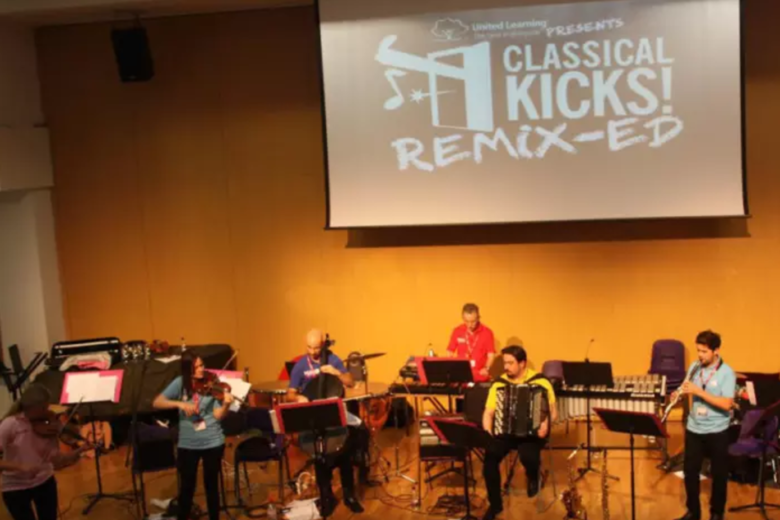 Shoreham Academy hosted students from United Learning schools in Sussex as they took part in Classical Kicks Remix-ED – an interactive, engaging show which aims to make classical music accessible to young people. The performance was also attended by students from The Regis School. Both schools are part of United Learning, a national group of academies and independent schools, which commissioned the show from Classical Kicks to bring the new GCSE music curriculum to life for students. Lizzie was delighted to be invited back onto BBC Radio 3 In Tune with her long time collaborator James Pearson and Sam Burgess to perform tracks from their forthcoming tour of their Reunion Project, a homage to Stephane Grappelli and George Shearing.